From zygotes, elongated structures begin to grow out of the clumps of moss. Upon reaching maximum length, the tips of these long stalks, called seta, begin to enlarge to form capsules, or sporangia. 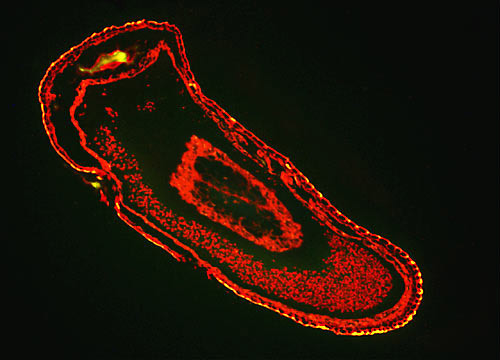 The sporangium, a spore-bearing region, contains minute, developing spores and is attached to the seta by a structure called a foot. Inside the capsule, spores develop to maturity by meiosis and are shed by wind currents and breezes.